The whole world saw the time-lapse video of the Costa Concordia’s righting operation on television: it was a mammoth task on a scale never attempted before, the consequence of some great teamwork. This also included well-known Italian raceboat designer Giovanni Ceccarelli (who designed ACC yachts for Mascalzone Latino and +39 Challenge), who proposed the original rotation and refloating solution to contractors Titan Micoperi. 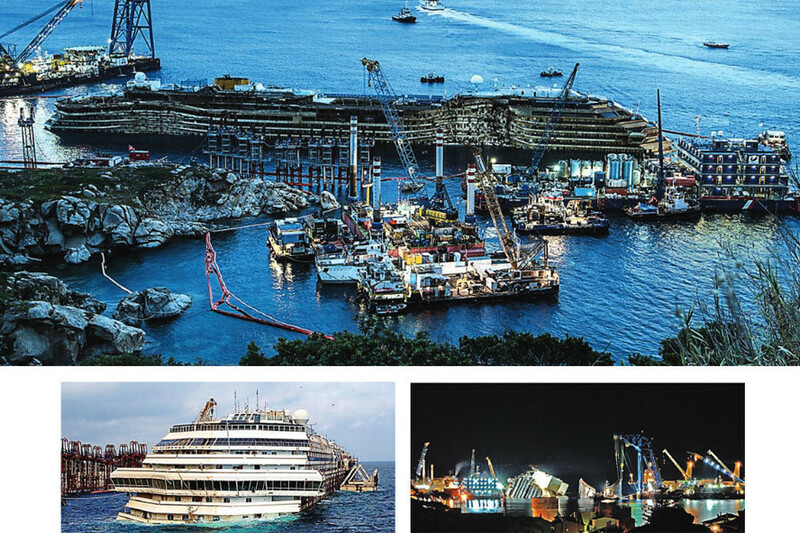 But why was a well-established yacht designer onboard the Micoperi 30 crane platform, helping to direct the recovery operation of the giant Costa Concordia? ‘I understand the surprise of those who know Ceccarelli Yacht Design for all of the sailing and motor yachts we have designed since the 1950s, when the firm was founded by my father Epaminonda,’ says Giovanni. ‘However, in our many years of work CYD have also designed a number of marinas and offshore platforms. But the real reason why I’m currently here is more emotional: when the accident occurred I thought – and I was not alone in this – that the whole Italian seafaring culture had taken a very hard knock in terms of how we are regarded on the global stage. Therefore, I had the idea that it was Italy who should now find the solution for the removal of the wreck. Ceccarelli’s role is engineering manager. ‘I am the person who co-ordinates all the various engineering activities,’ he explains, ‘and who shares the strategic choices with the client – the ship owner Costa Crociere – and with the senior salvage master, Mike Sloane, the man who is ultimately responsible for righting and refloating the vessel. ‘Sloane is also himself a racing yachtsman. He is a South African and was involved in the initial stages of the Shosholoza challenge in addition to taking part in a leg of the Volvo Ocean Race. These shared roots give the two of us more affinity when we are working side by side. So has the experience of yacht design and sailing been of help in some creative problem solving? ‘The approach to this giant problem has demanded successful innovation on every single day and at every single level,’ says Ceccarelli.